Joanna A. van der Vant is a professional based in the greater Chicago, Illinois area. In her current position, she manages the accounting department of Sol Property Management, LLC. (SOL); an asset management firm. Through SOL, Joanna A. van der Vant interacts with financial institutions, attorneys, and receivers to determine the best course of action for properties in various stages of litigation, among other responsibilities. In addition to these client services, Joanna A. van der Vant is responsible for the accounts receivable and payable, companywide budgeting and planning, and ensuring legal compliance. Prior to her time with SOL, Joanna A. van der Vant was fortunate to travel the world for both professional and educational purposes. 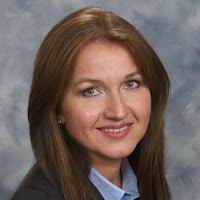 Joanna A. van der Vant resided for a time in Warsaw, Poland, and worked there as a commercial real estate broker and consultant assisting among others Master Foods and McDonalds with site selection and investment opportunities. Notably, Joanna A. van der Vant assisted in the creation of Polish Multiple Listing Service in Warsaw where she also served as the Vice President of the Warsaw Association of Realtors. A life-long student of life, Joanna A. van der Vant holds multiple degrees from some of the world’s notable educational institutes. While living in Europe, Joanna A. van der Vant attended Poland’s highest rated private college, Kozminski University (formerly Leon Kozminski Academy of Entrepreneurship and Management). Here, she earned a Master’s in Business Administration. Alongside this academic accomplishment, Joanna A. van der Vant also studied law at the European School of Law and Administration. Currently, Joanna A. van der Vant is finishing a Master Degree in Accounting and Financial Management at the Keller School of Management in Chicago, Illinois and preparing to attain a Certified Public Accountant (CPA) certification in 2013. Joanna A. van der Vant has made promoting education and professional responsibility one of her life-long passions. Joanna A. van der Vant is heavily involved with her local community and holds affiliations with many civic and business assemblies in the Greater Chicago Area. Joanna A. van der Vant is also an active member in the American Institute of Professional Bookkeepers. She is a member of the Alpha Chi National College Honor Society. Joanna A. van der Vant is married to the Illinois Receiver, Mr. Arthur R. van der Vant. In her spare time away from the office, Joanna A. van der Vant enjoys French cooking, organic gardening, and reading - both classic and contemporary literature.